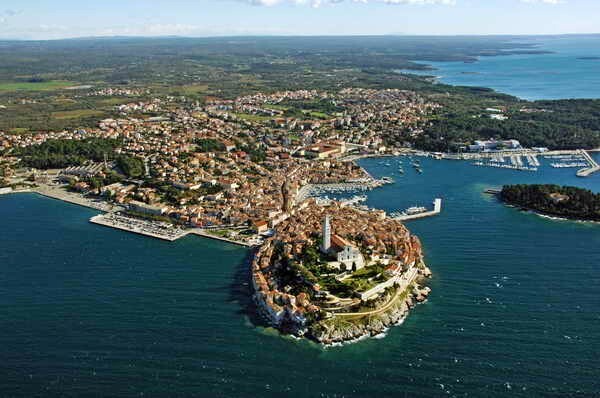 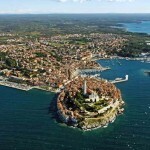 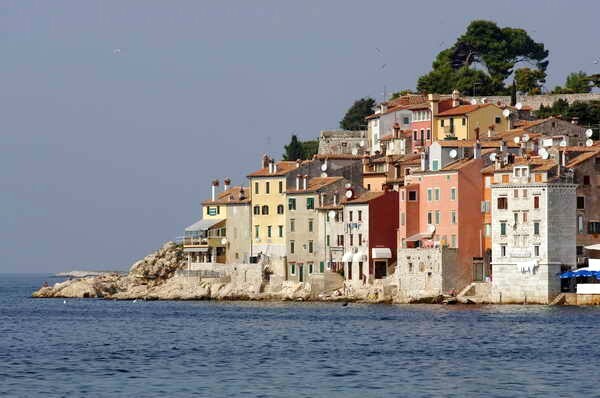 Rovinj is a town with seventeen centuries of history, with a long fishing tradition, unspoilt nature and joy. 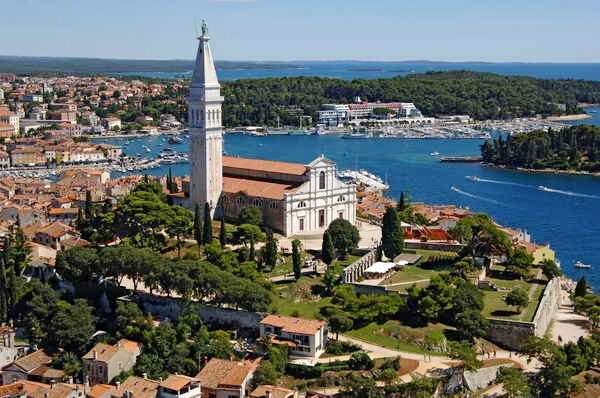 The old town’s beauty, rate local Mediterranean vegetation, the healthy Adriatic climate, numerous natural monuments, twenty islands and islets, coves and inlets, all these make Rovinj one of the most beautiful cities on the Adriatic. 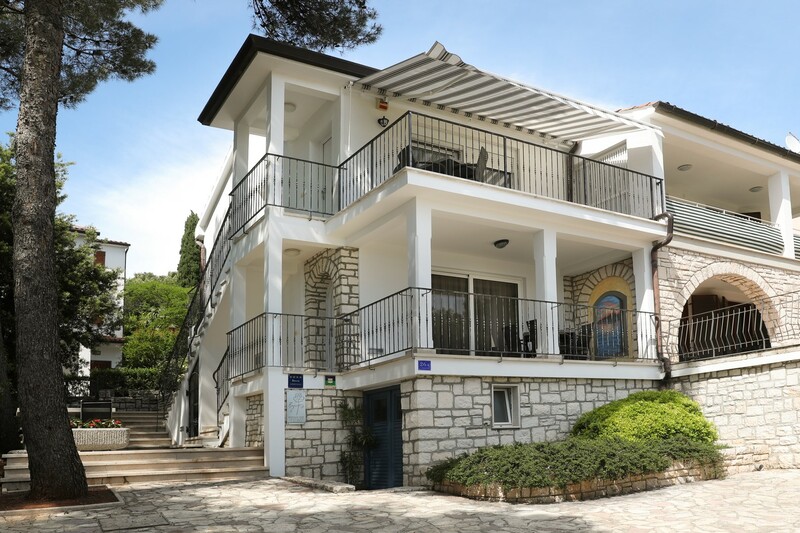 Not far from the center of Rovinj, in the elite Borik neighborhood, the Roža family has three very special tourist apartments, at two separate locations. 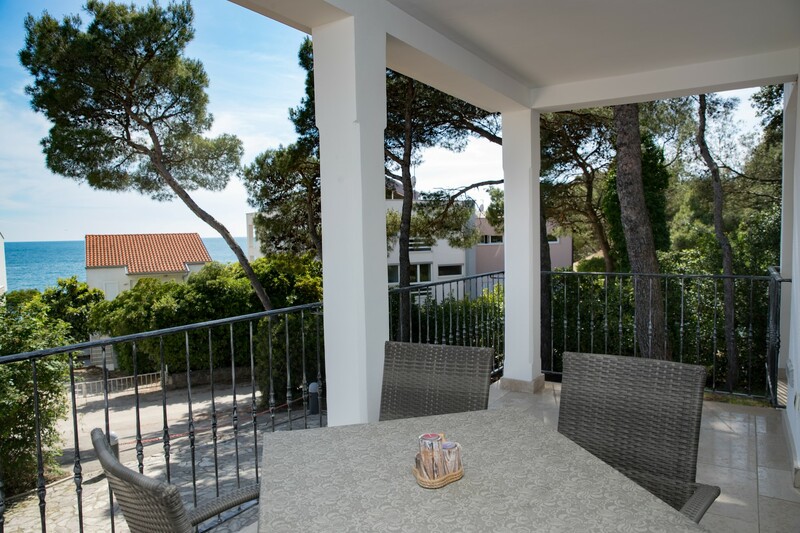 All the apartments are located near the sea and offer comfort and amenities that satisfy even the most discerning guests. 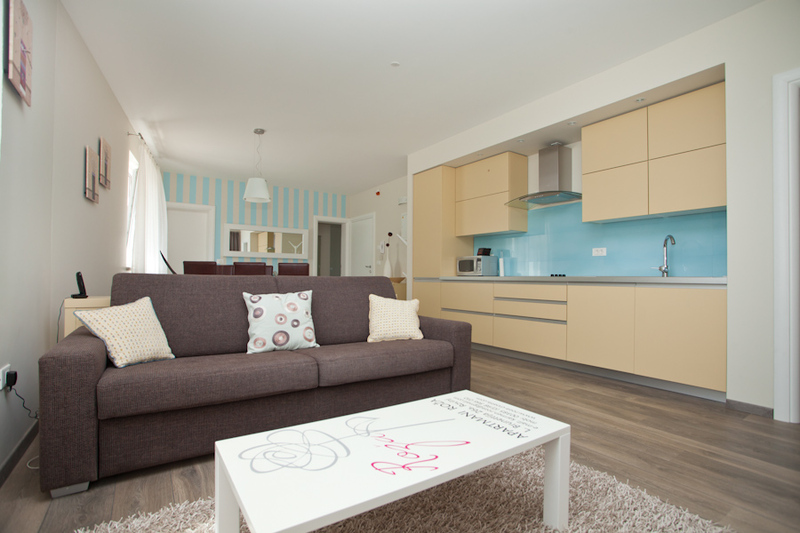 The Marin and Carmen Apartments include a kitchen, dining and living room, bathroom, bedroom and terrace. 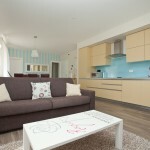 Both apartments are located in the house. 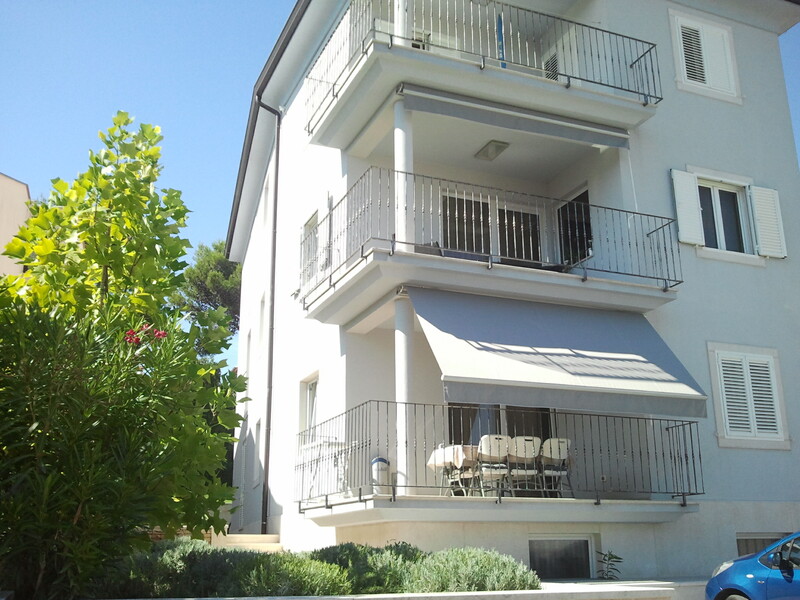 The Carmen Apartment is on the first floor, while the Marin Apartment is on the second floor. 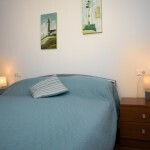 Guests have at their disposal a fenced parking lot and an additional common area with bath. 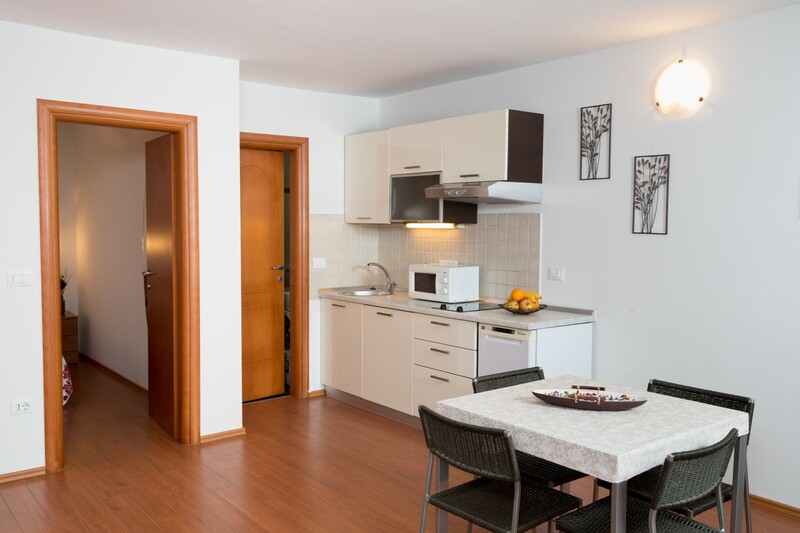 The apartments are equipped with dishes, linens, air conditioning, heating, washing machine, satellite TV, hairdryer, iron, microwave, grill and coffee maker. 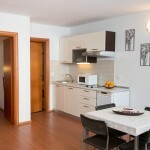 In addition, the Carmen Apartment also has a dishwasher. 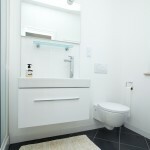 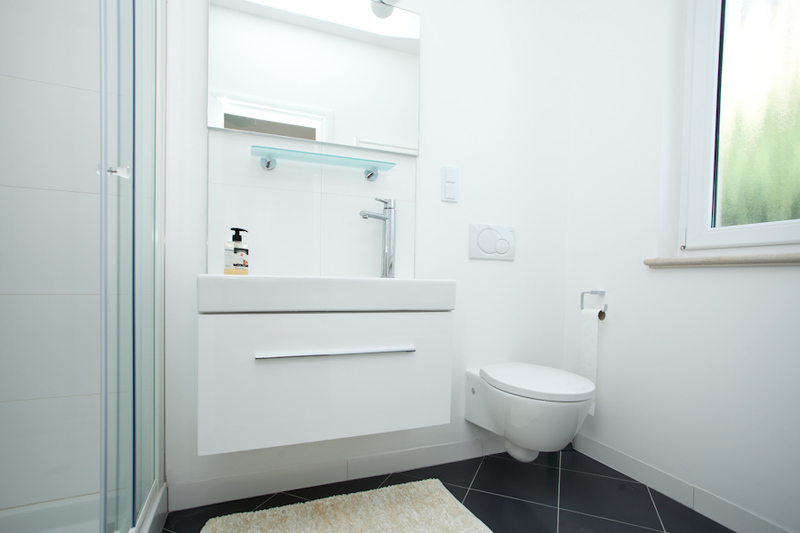 Furthermore, guests can use the basement which has an additional small toilet. 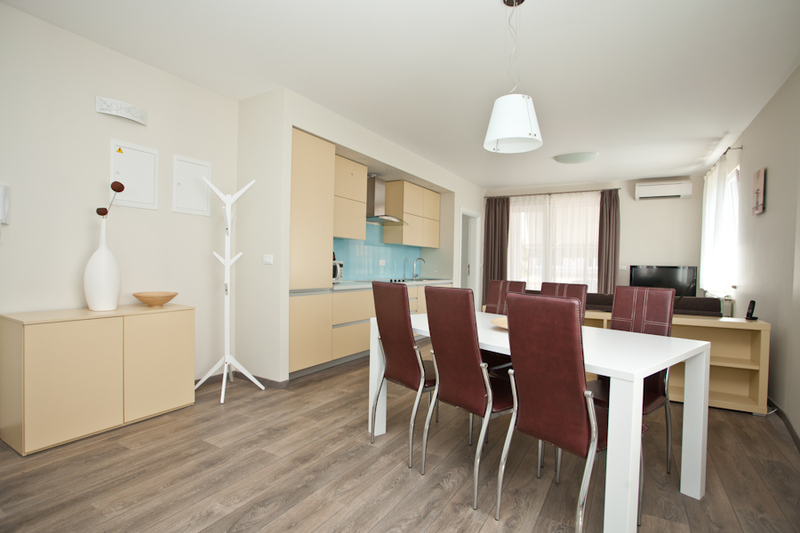 The basement is intended for common use for both apartments. 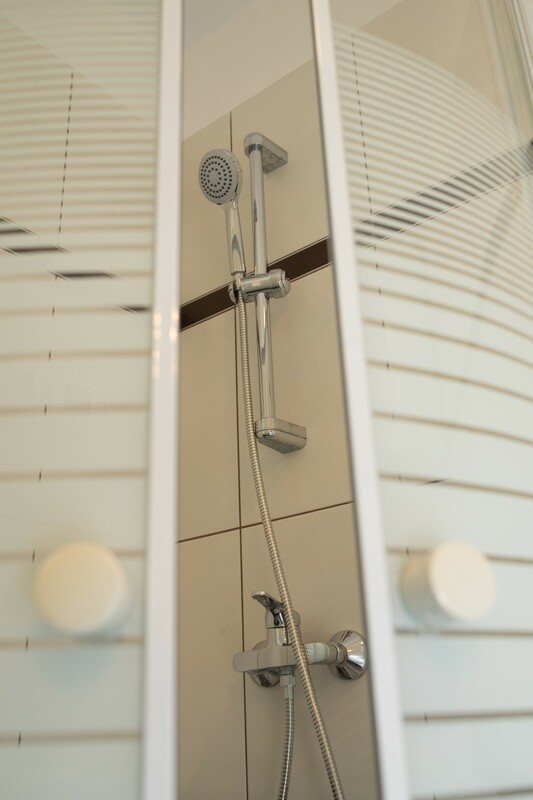 Guests have access to the Internet and significantly cheaper VOIP calls. 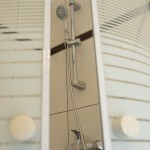 The building also has an alarm system. 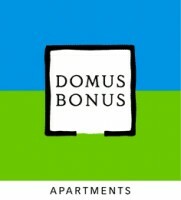 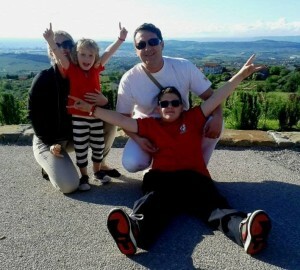 The Marin and Carmen Apartments have a four-star category and have been awarded the Domus Bonus certificate by the Region of Istria. 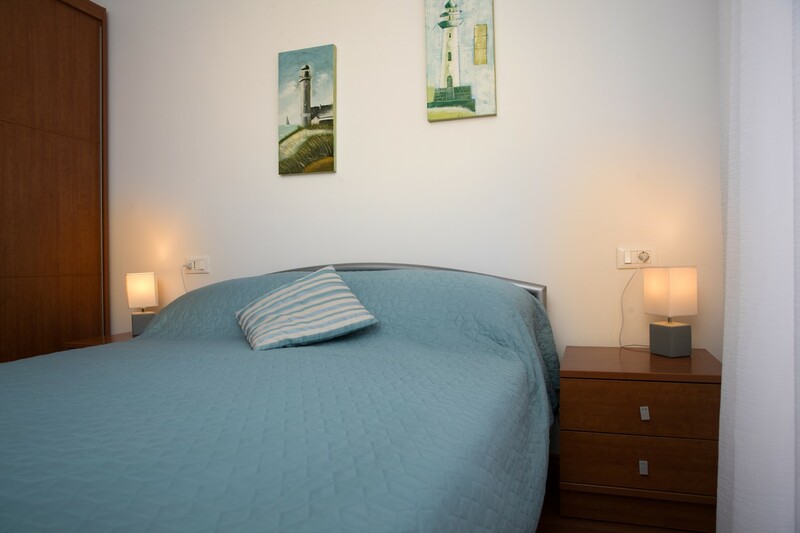 Each apartment has an area of approximately 40 m2, have a double bed in the bedroom and a comfortable spare bed for two persons in the living room. 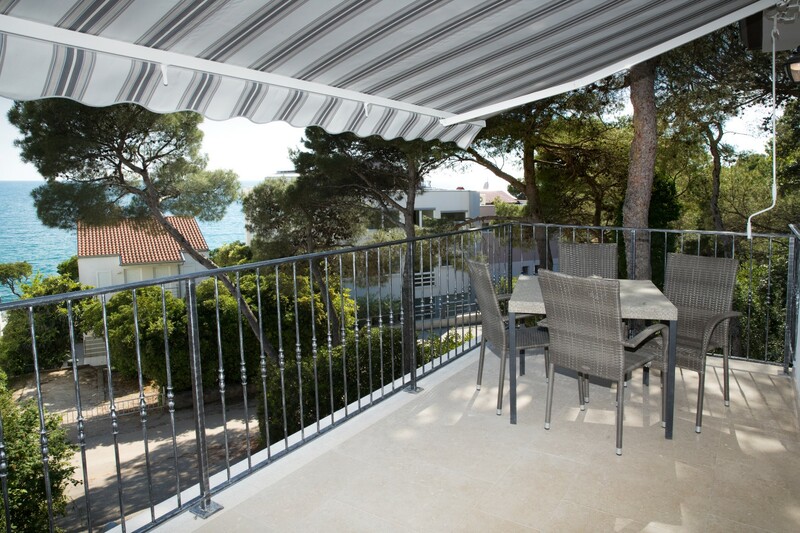 Both apartments have a beautiful sea view that includes islands and old town and a common courtyard with an outdoor grill and table. 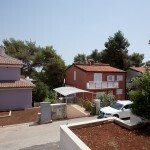 The apartments are accessed from Val de Lesso Street. 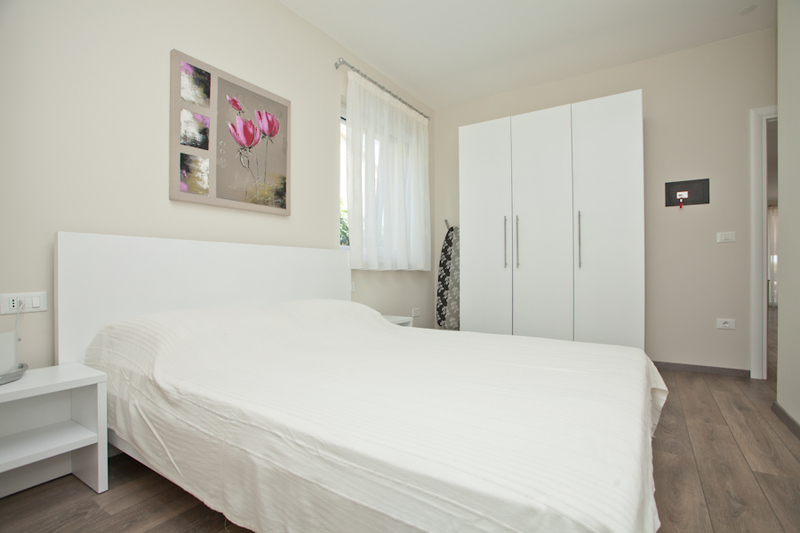 Not far from the Marin and Carmen Apartments, at 7 L. Brunetti Street we find the Nina Apartment. 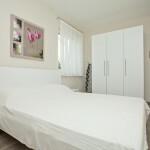 With its exceptional comfort and private parking lot, the Nina Apartment provides guests a pleasurable stay. 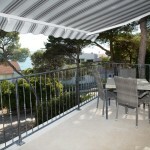 The apartment has a covered terrace, kitchen, dining room, living room and three en-suite bedrooms. 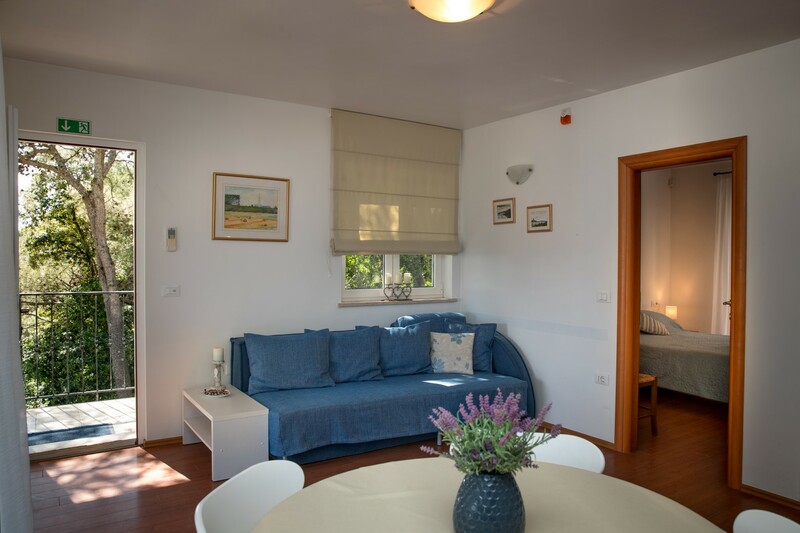 It is equipped with dishes, linens, air conditioning, central heating, a washing machine, satellite TV, DVD player, hairdryer, iron, microwave, coffee maker and filtered water. 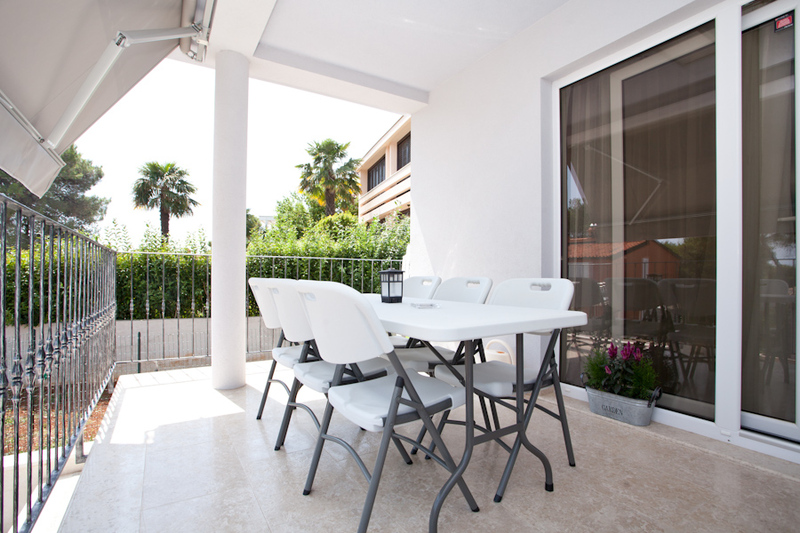 Guests have access to the Internet and significantly cheaper VOIP calls. 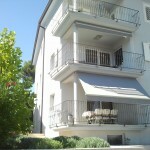 The apartment is protected by an alarm system. 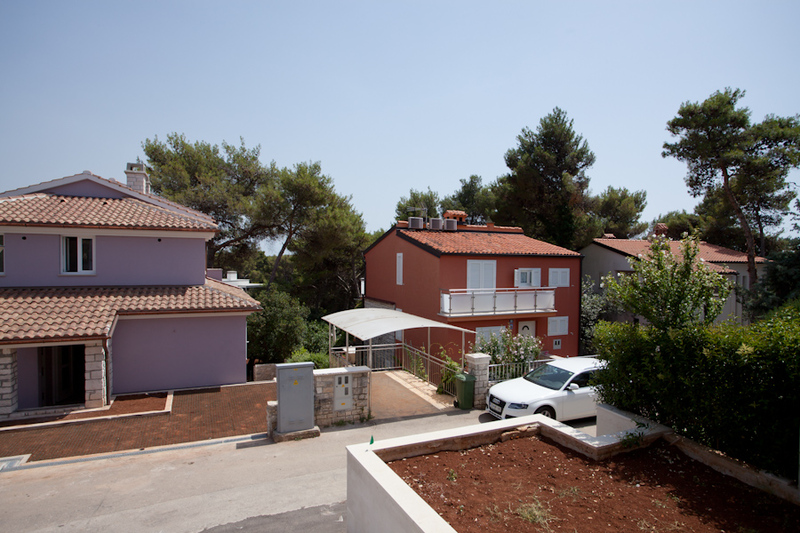 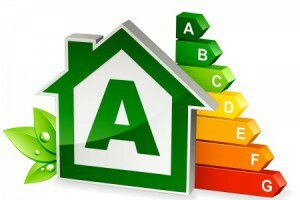 The Nina Apartment has a four-star category and has been awarded the Domus Bonus certificate by the Region of Istria and A-level energy certificate. 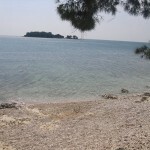 Nearby are beautiful beaches, restaurants and a beach bar. 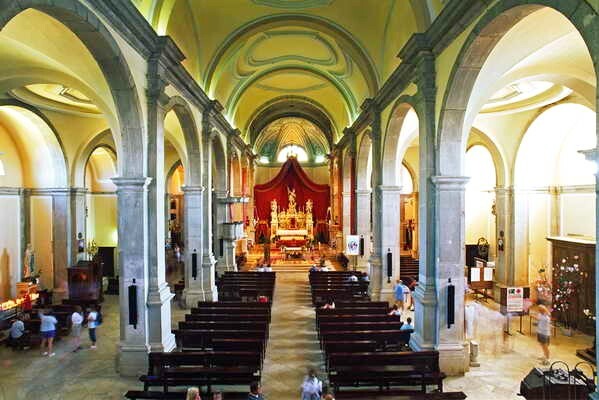 There is also a shop, bank machine, and a hospital. 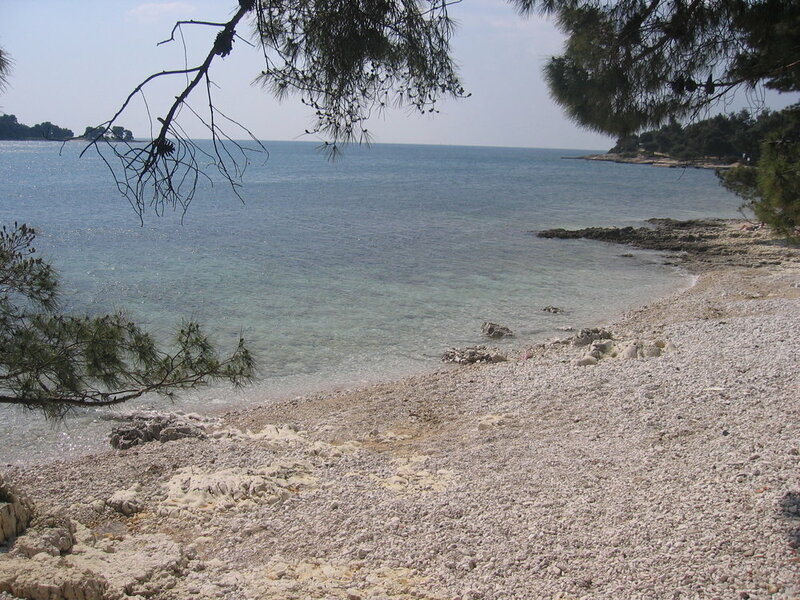 Sports facilities and day and evening entertainment for children and adults can be found at a nearby campsite. 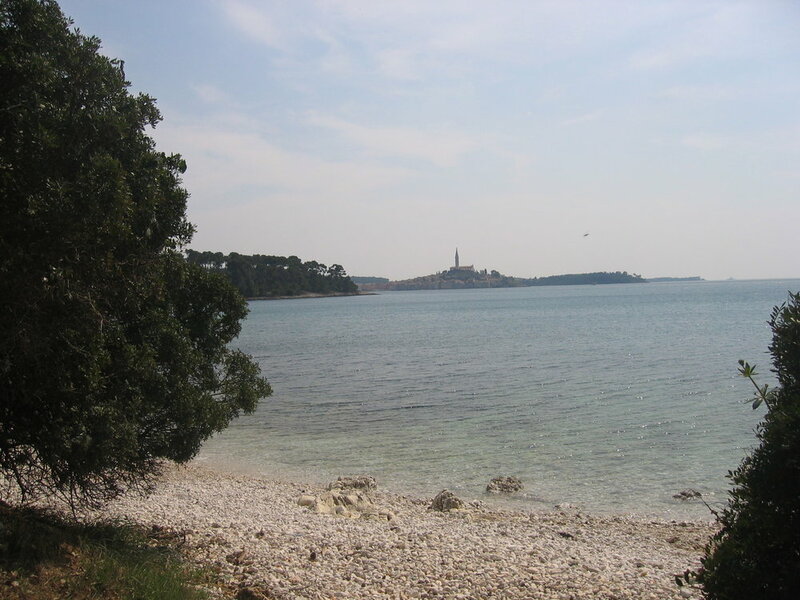 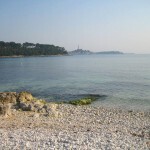 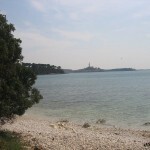 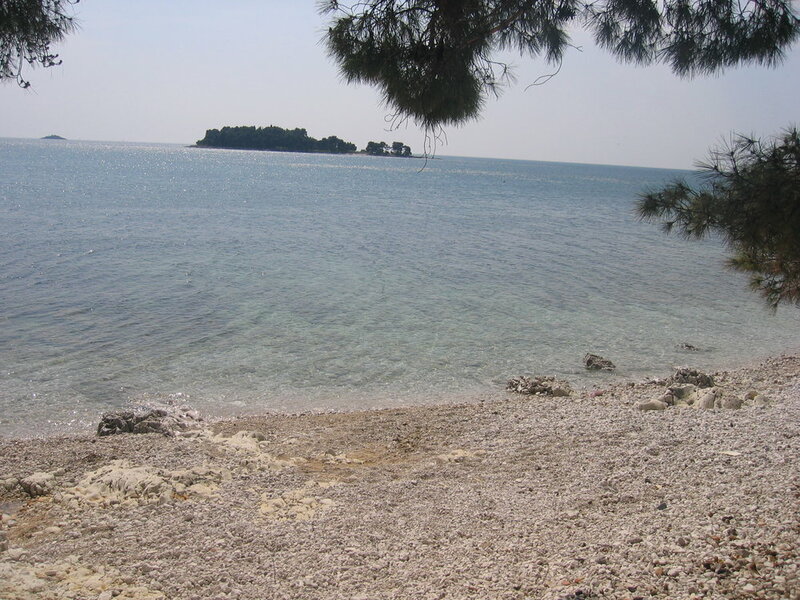 The apartment is around 1800 m from the center of Rovinj. 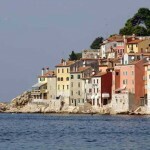 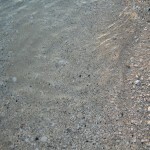 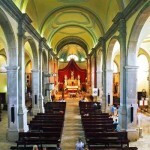 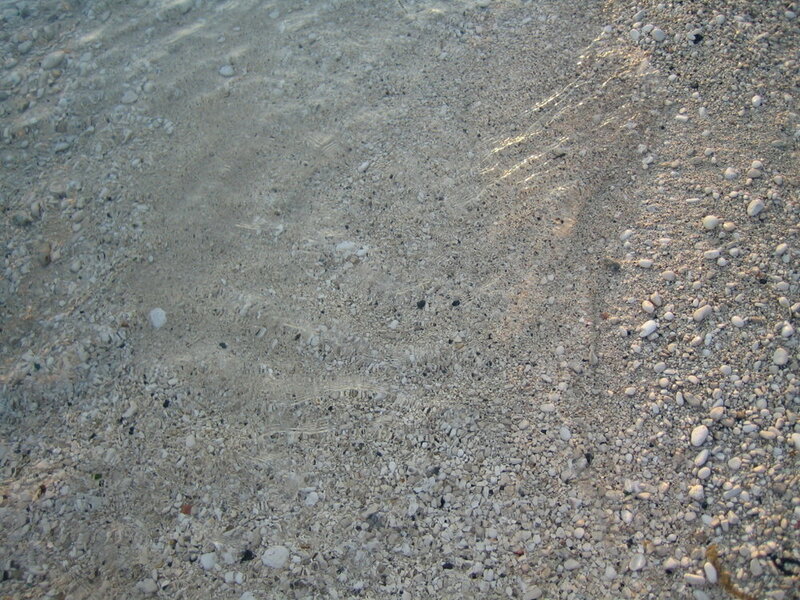 It can be reached by car, as well as taxi, local bus, taxi boat or by a leisurely seaside stroll. 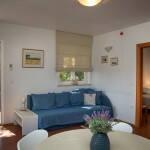 A comfortable and pleasurable holiday awaits you at our apartments, filled with rest, relaxation and beautiful memories.